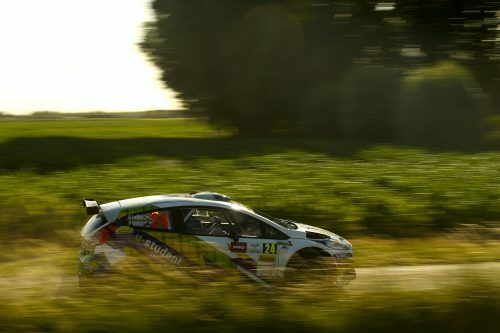 The Belgian, British and international rally drivers will be presented with a challenging and renewed course for the Renties Ypres Rally. It will count towards the Jobfixers Belgian Rally Championship, the British Rally Championship, the FIA ERT Benelux Rally Trophy and the FIA R-GT Rally Cup. The names of the stages sound familiar, but the teams will still have to work hard to convert new stages into precise pacenotes. The rally remains compact, with more than half of the total distance will be completed at speed. The second day on Saturday 29 June starts earlier than the previous years. And this time the Ypres Rally starts simultaneously with the Las Vegas Ypres Historic Rally and the SAS Pils Ypres Classic Rally. Now the Historic participants get to run on the clean stages, ones that have not been driven on by the outright contenders, for their first loop. The winner of the Renties Ypres Rally will spray the champagne at 9:32pm (10:32pm UK time) on the finish ramp, after what will be another wildly exciting competition.